COO - Genius Enterprises, Inc.
Steven Schmidt earned his bachelor's degree from Temple University, majoring in Business Administration and minoring in Marketing. Steven did door to door sales for 16+ years. Starting his career while still in high school, he sold newspaper subscriptions, AAA memberships, and energy suppliers. He even continued working while attending college, which is how he paid his own way through Temple University. 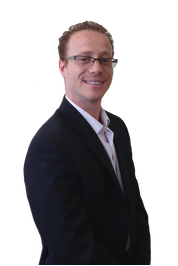 Steven started working for Comcast as a sales rep in 2004 while still in college, and was soon promoted to Sales Supervisor for the Philadelphia Region. He held that position for 4 years and then went on to start his own company focusing on residential maintenance services. In 2009, after he sold his maintenance company, he partnered with his long time friend and colleague, Eugene Sloush, and became co-owner of Genius Enterprises. In 2010 they founded Power Marketing Group, LLC. Steven also started his own free web site, www.prosalesguide.com, which is based around sales and marketing techniques to improve the door to door sales industry. Creating opportunities for entrepreneurs and giving back is a mission that Steven has dedicated his life to. CEO - Genius Enterprises, Inc.
Eugene Sloush has been involved in sales since his early teens, selling newspaper subscriptions door to door. It was an early start to what has become an amazing career. In 1997 electricity in PA became deregulated, and Eugene was one of the first to market the new suppliers. In the following years he was instrumental in building sales offices for energy suppliers and phone companies. In 2003 Eugene started marketing for Comcast, and from there began his vision to form the best door to door sales company in the country. He founded Genius Enterprises in 2007 with Comcast as their first client. It's been a successful partnership ever since and Genius Enterprises remains one of Comcast's preferred vendors in Northeast US. ​ In 2011, Eugene along with his business partner Steven Schmidt formed Power Marketing Group, LLC (PMG), which specializes in door to door sales and telemarketing for deregulated energy suppliers. Their goal for Genius and PMG is to keep building quality relationships with clients, sales teams, and strategic marketing partners in order to provide a top notch service that is unmatched in the industry. 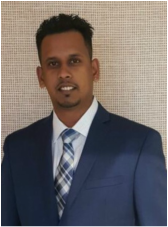 VJ has been in sales management positions with Power Marketing Group since 2012 and currently serves as Director of Sales. His responsibility is to oversee the in-house and partner sales teams and he takes great passion in helping them achieve company goals. Vadim Dyumin is a graduate of Penn State University, and has been working with Genius/PMG since 2010. 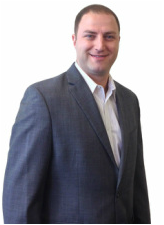 He oversees a wide array of company functions, including all finance, payroll, and operational support.